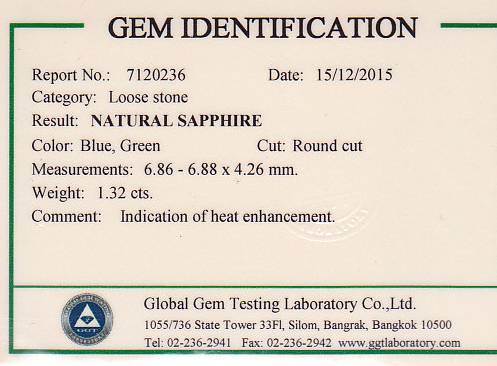 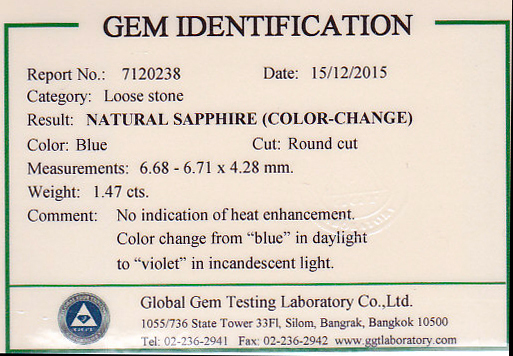 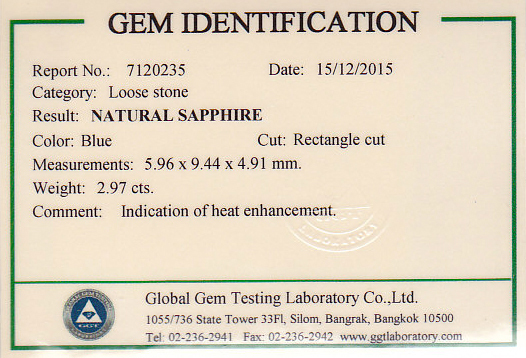 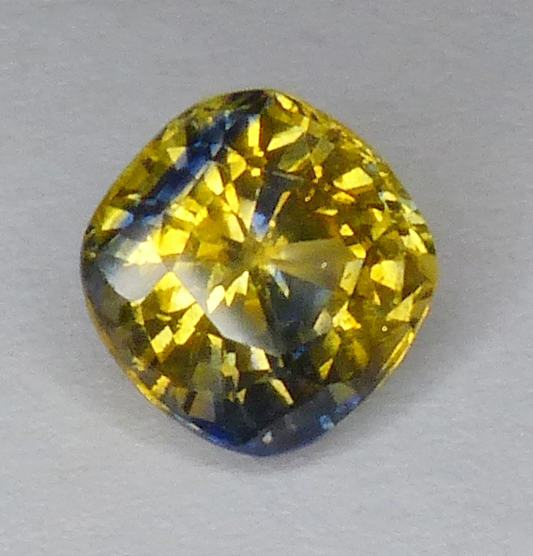 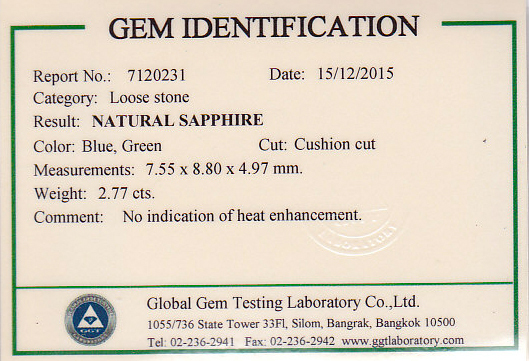 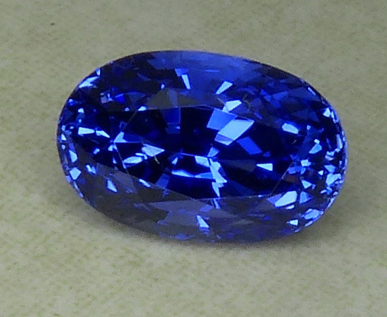 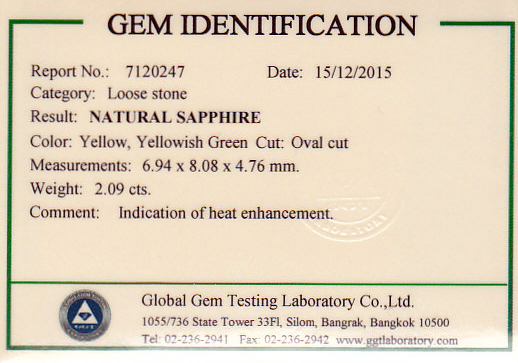 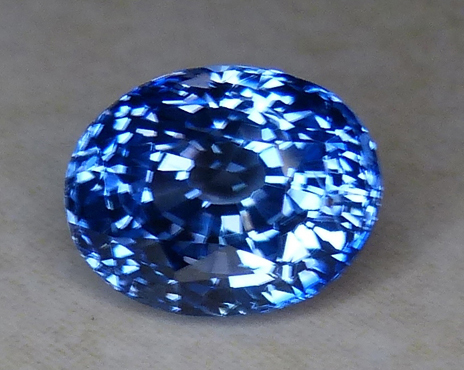 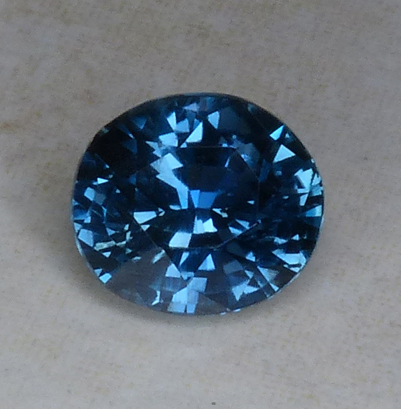 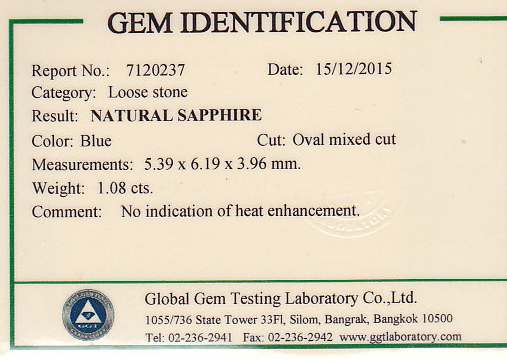 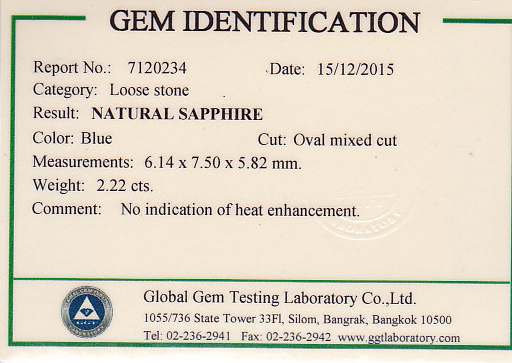 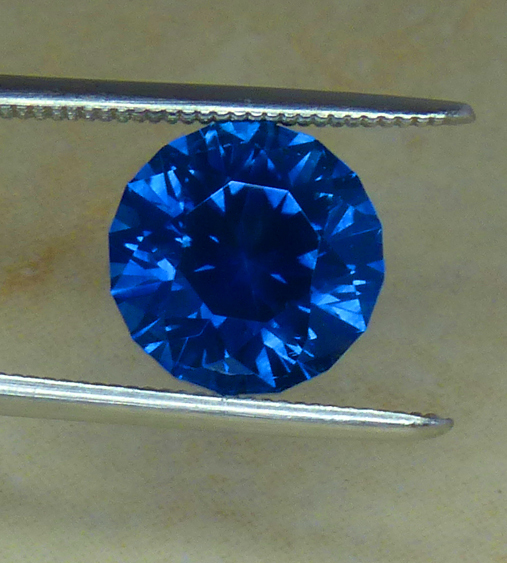 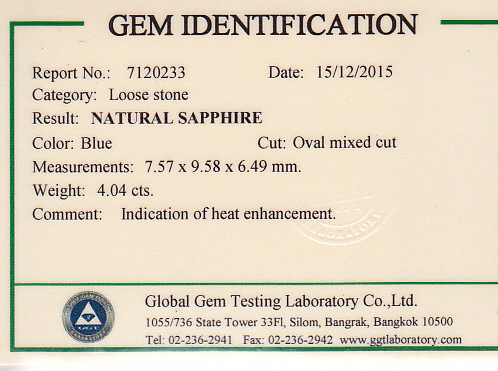 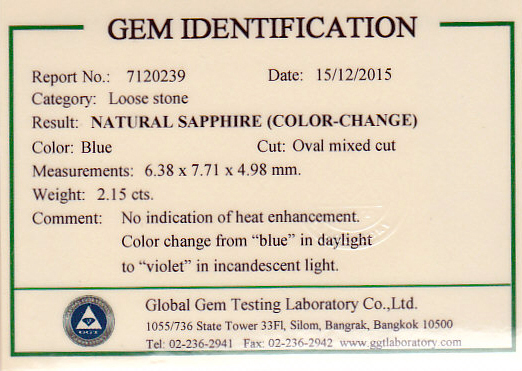 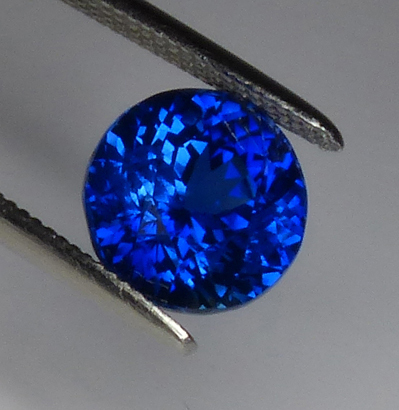 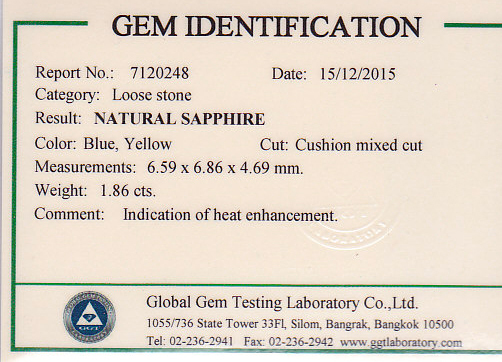 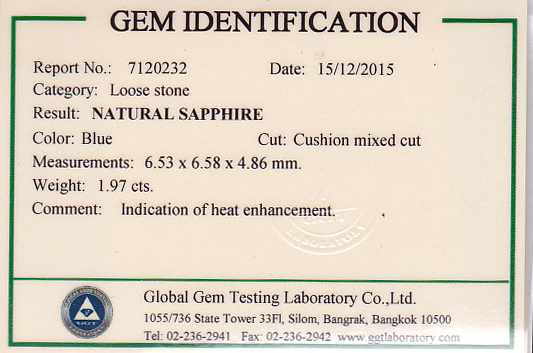 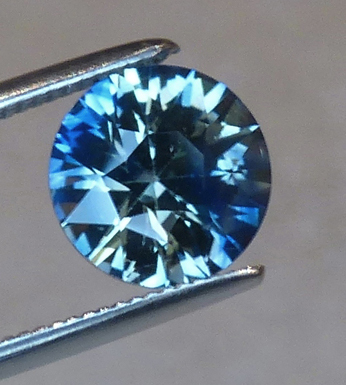 2.34ct UNHEATED Greenish Blue Sapphire, a unique color - we have had only one of this color over the past 36 years. 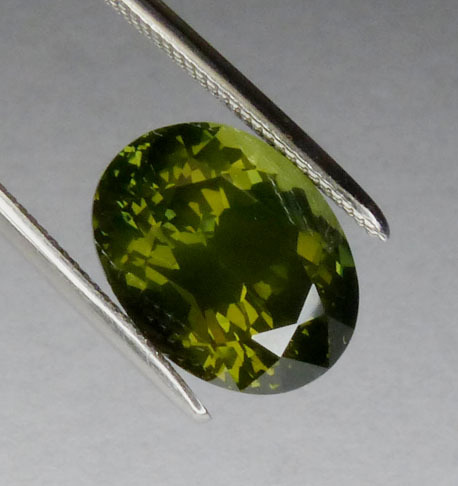 Origin is Ceylon (Sri Lanka) where they call this color 'green'. 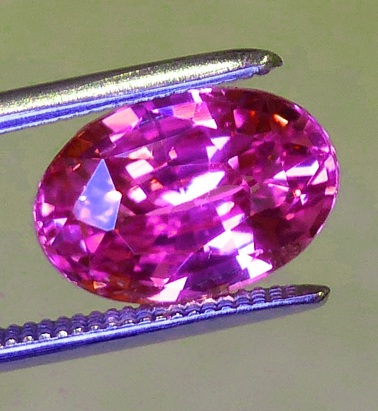 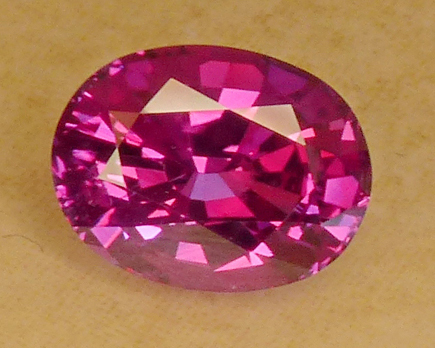 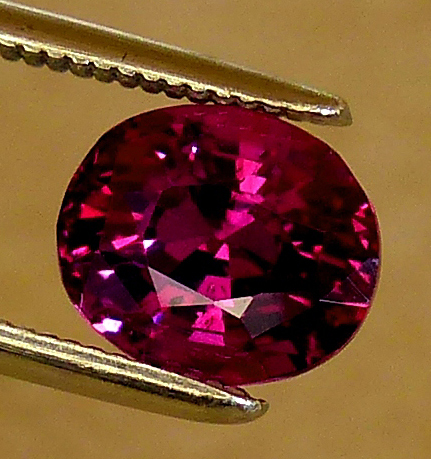 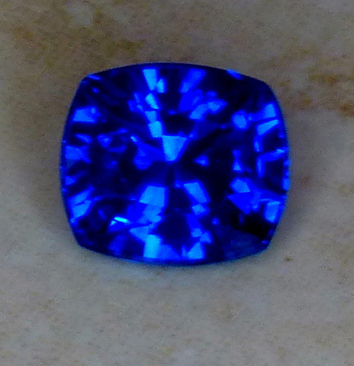 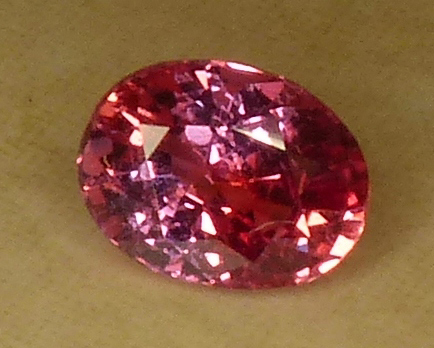 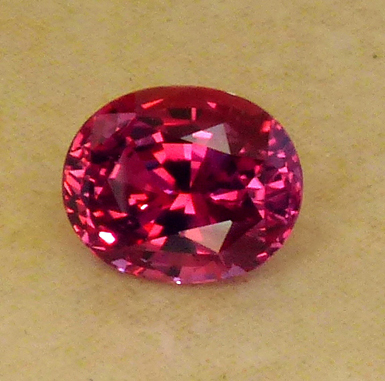 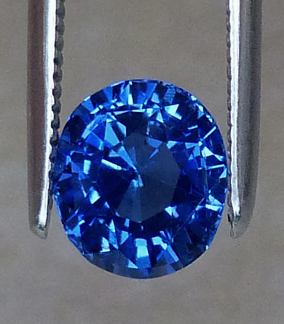 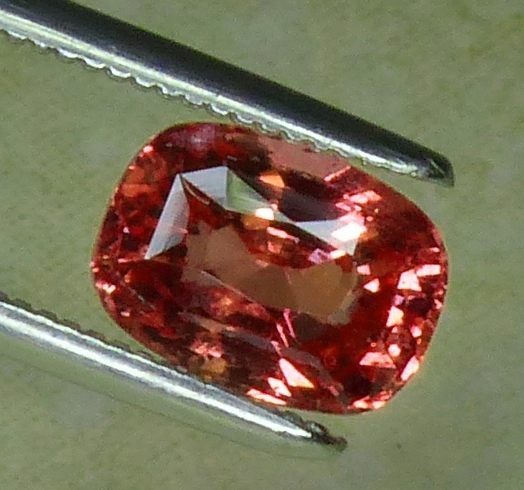 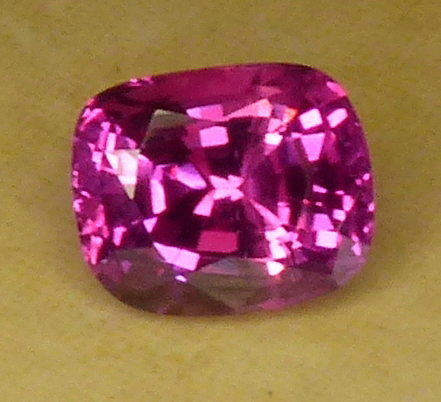 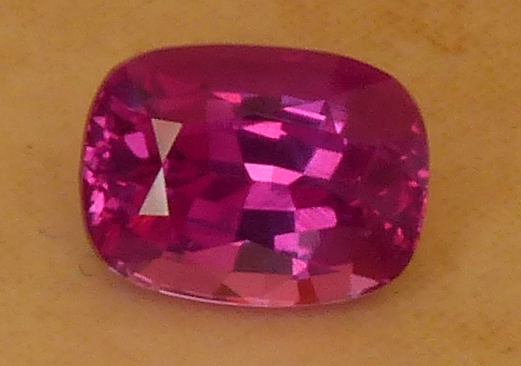 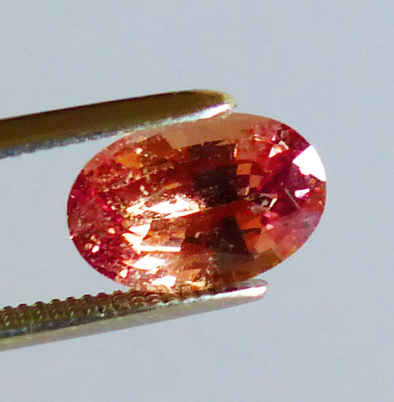 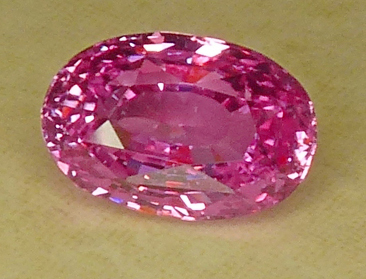 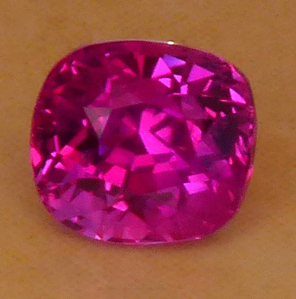 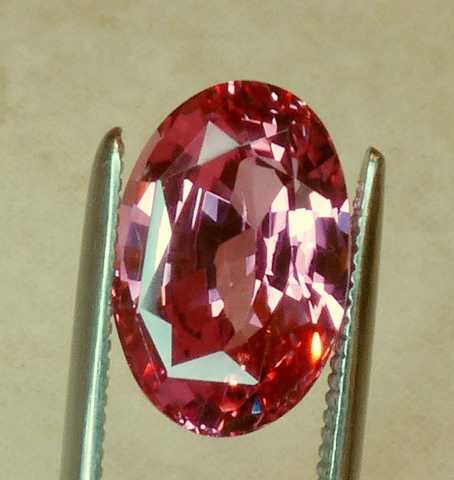 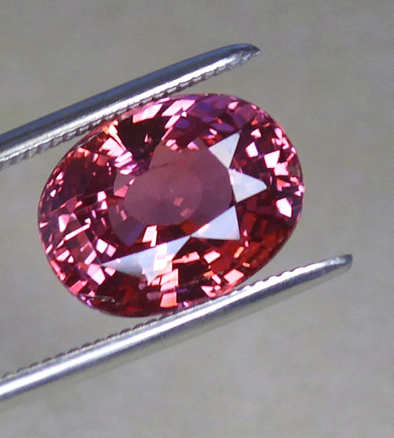 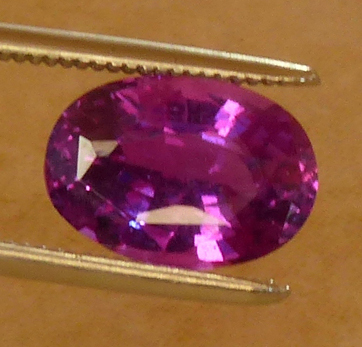 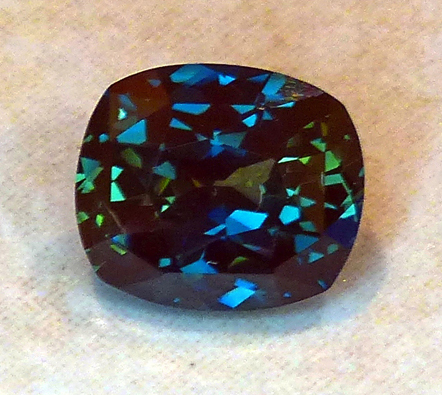 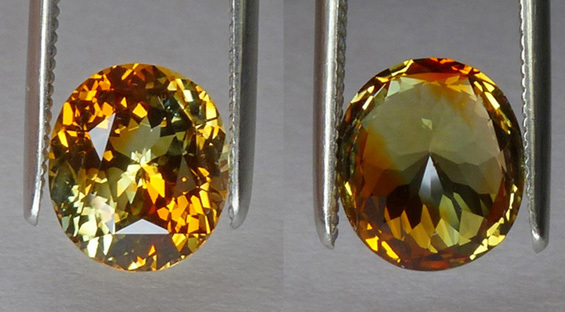 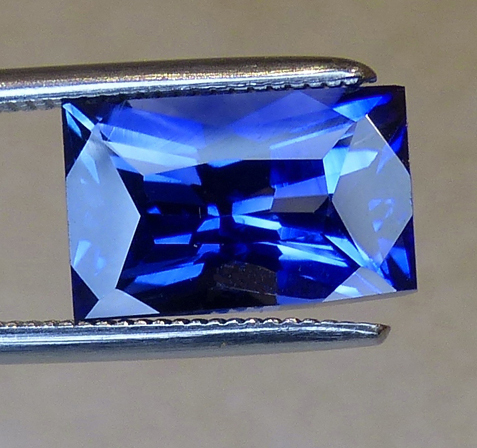 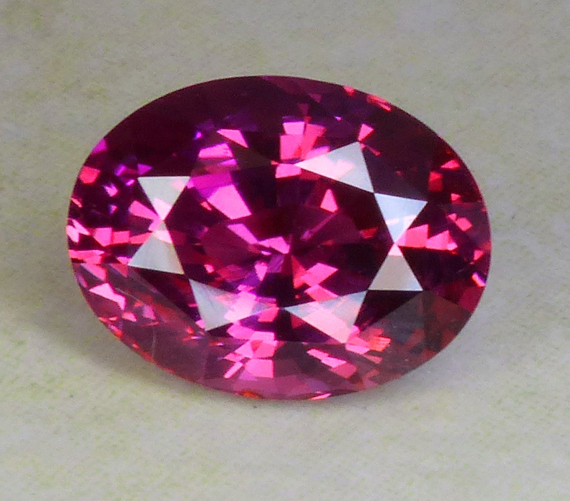 For those who wish a unique gemstone/color, this seldom seen variation would make a great ring, pendant or as part of a collection of various colored Sapphires. 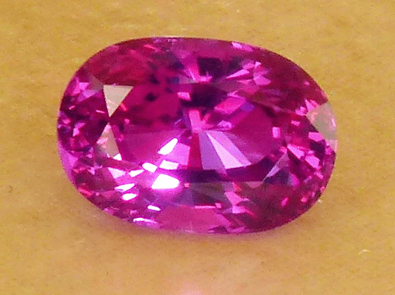 The color is difficult to capture accurately and may also shift depending on wavelengths in the available light, showing off the unique color at different times. 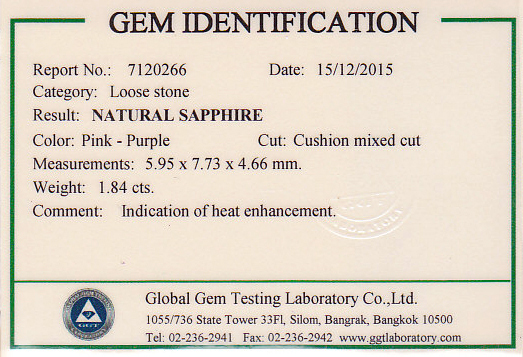 (nshgm-16a-01) Priced to move at $6,084. 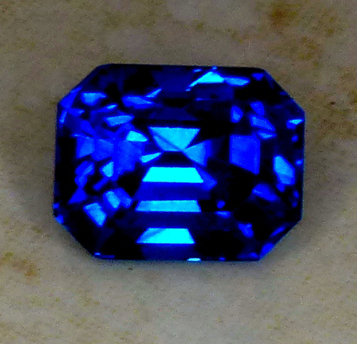 Certed as Montana Sapphire by GIA. 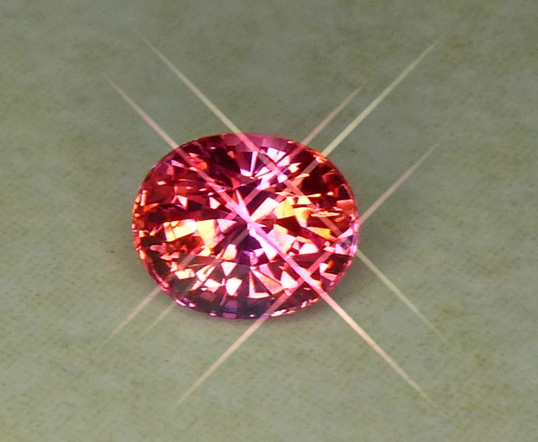 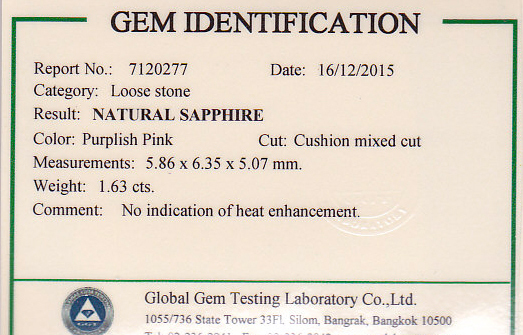 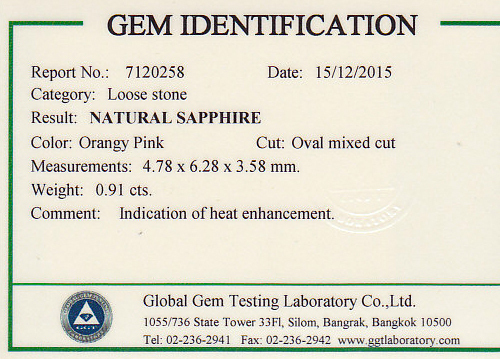 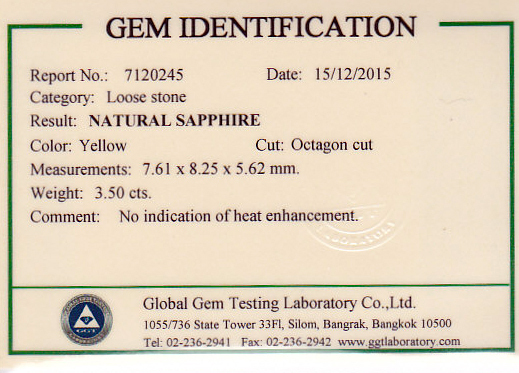 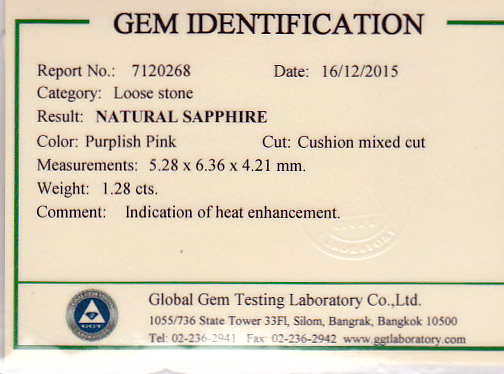 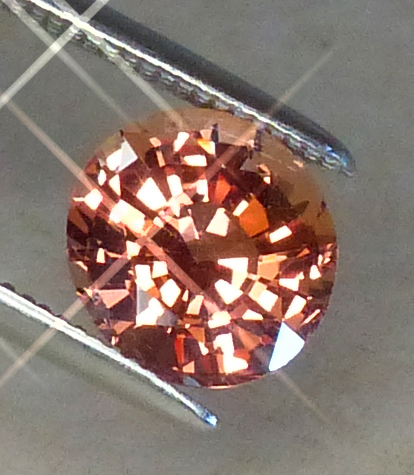 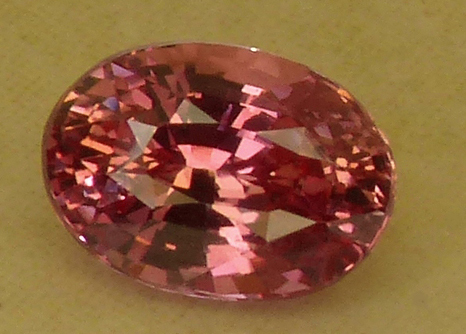 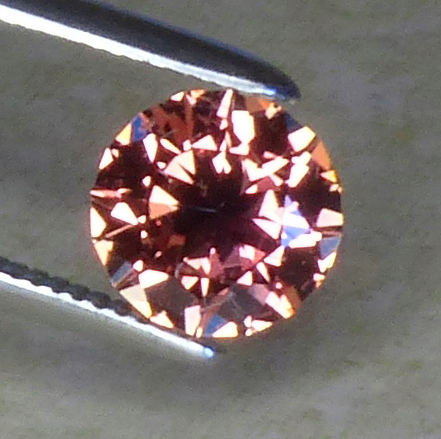 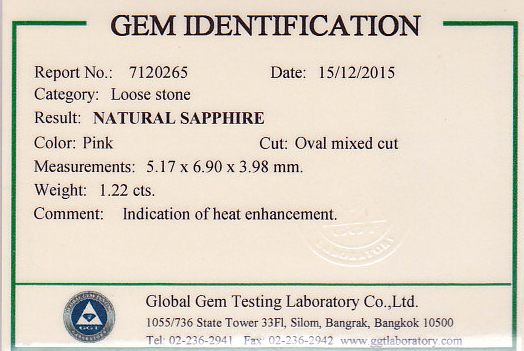 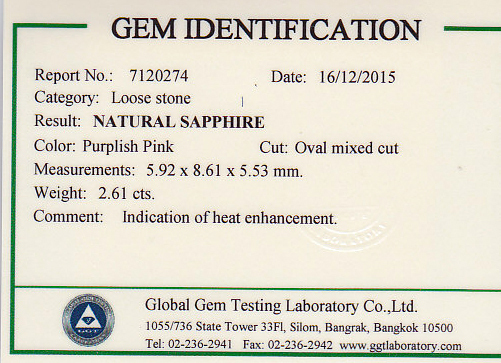 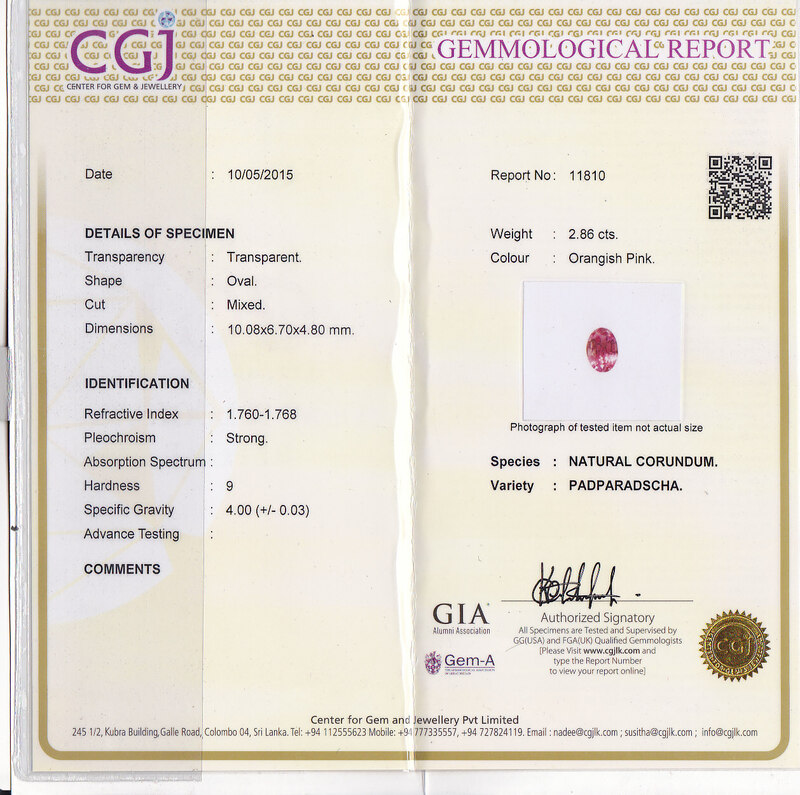 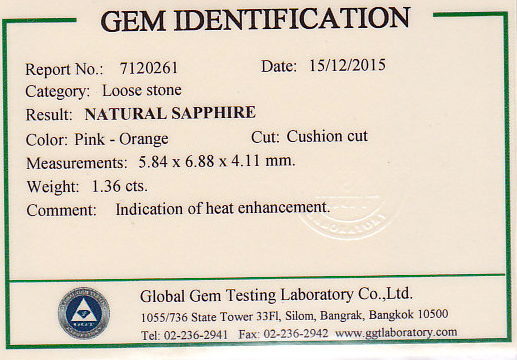 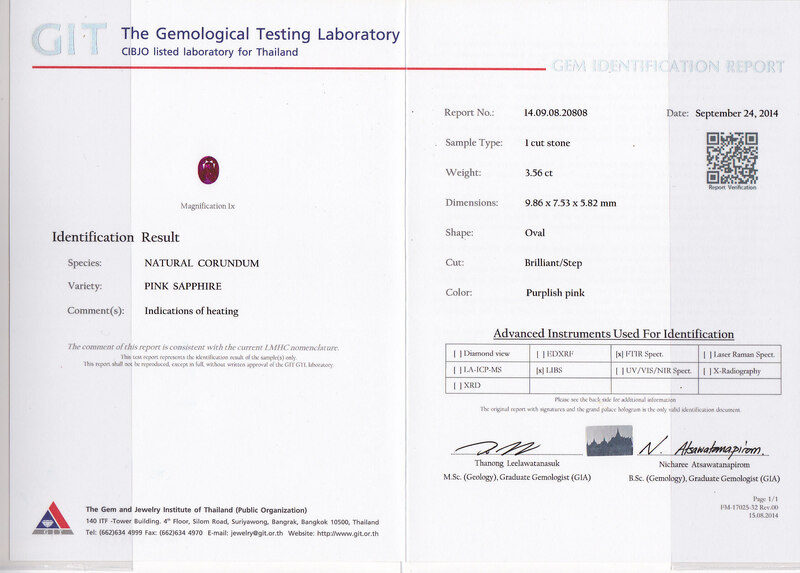 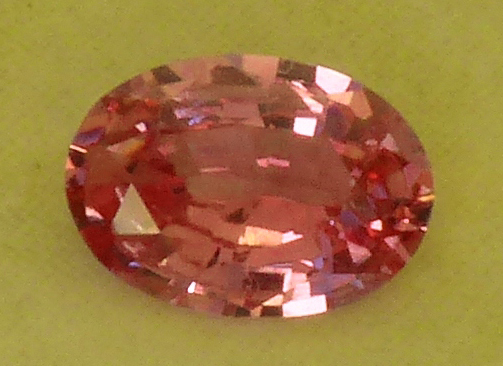 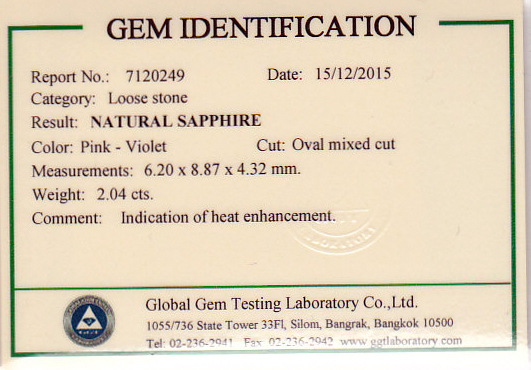 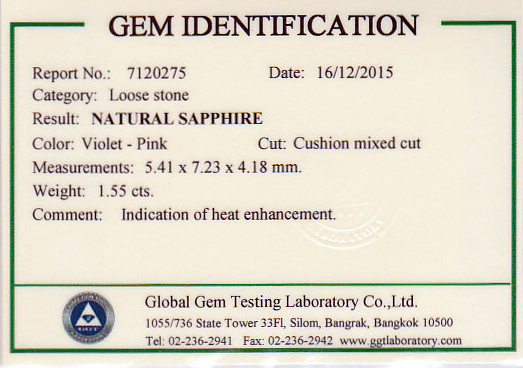 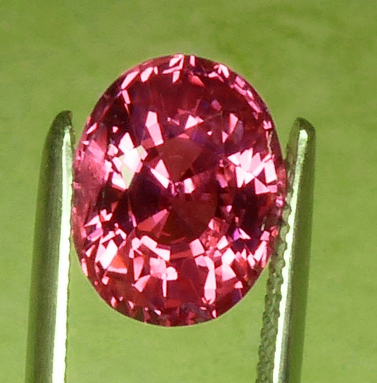 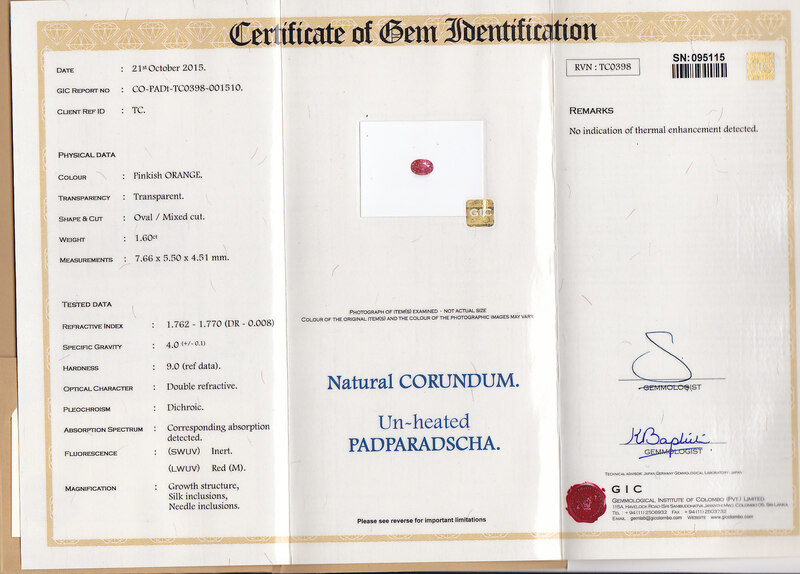 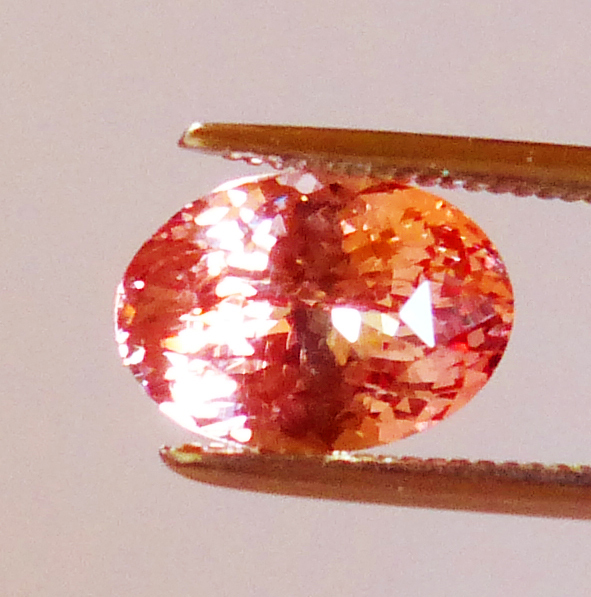 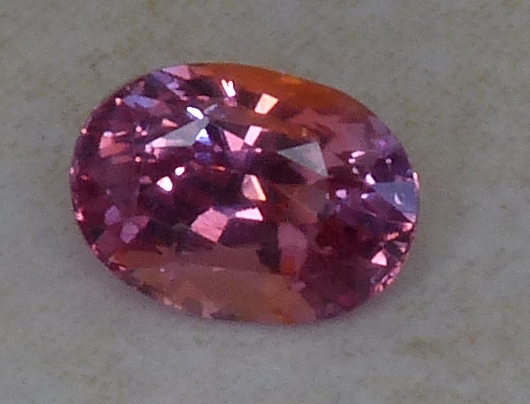 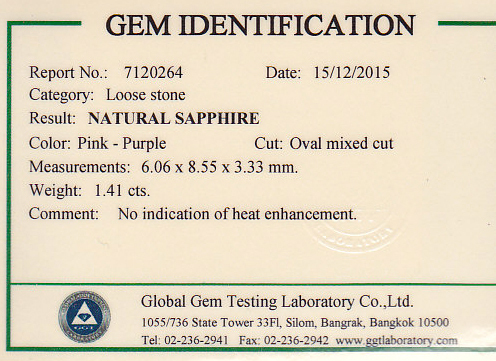 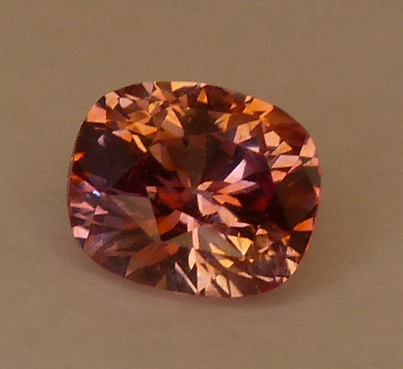 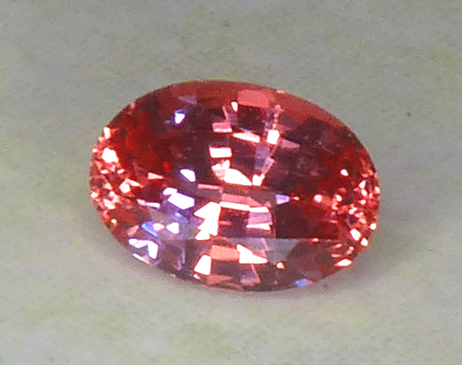 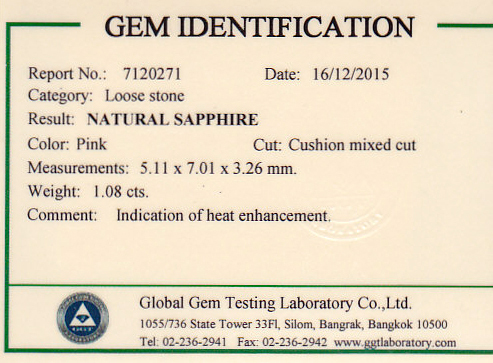 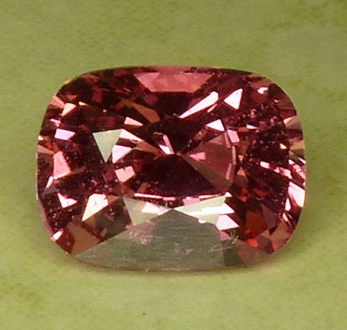 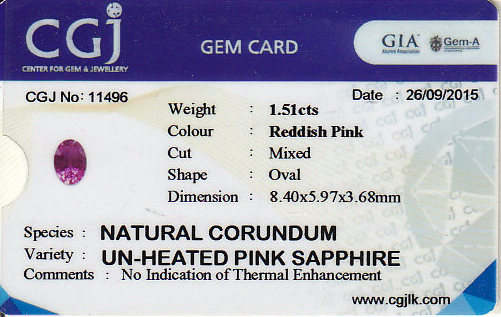 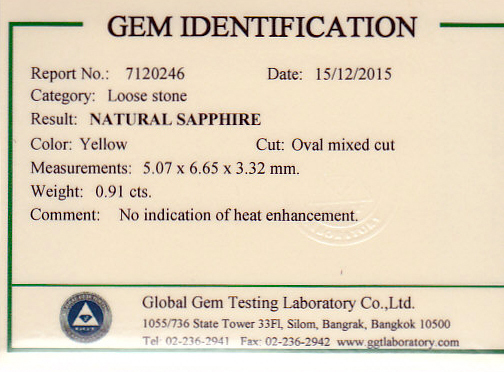 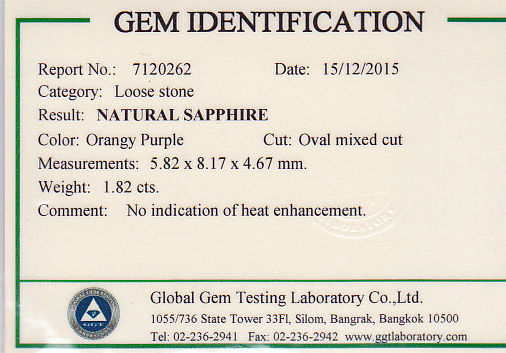 B - 1.02ct Unheated Pinkish Orange Oval Sapphire - Pad! 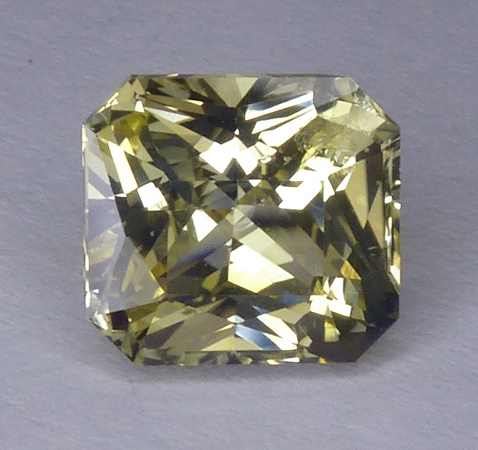 (egaj-15-31) $5,758 SOLD! 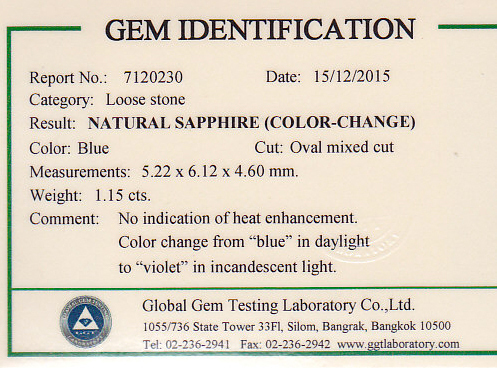 Described as a purplish brown in the cert, we see this color changing/shifting depending on the available lights - from Orangy to Pinkish. 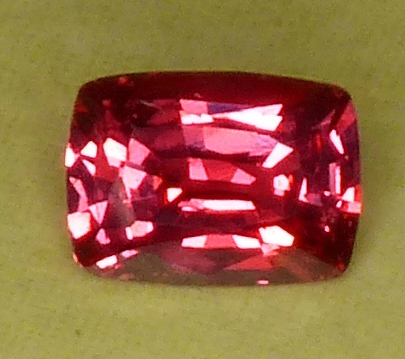 This 1.69ct is Unheated, well cut, has a great polish and brilliance and rounds in general are a hard commodity in Sapphire/Ruby. 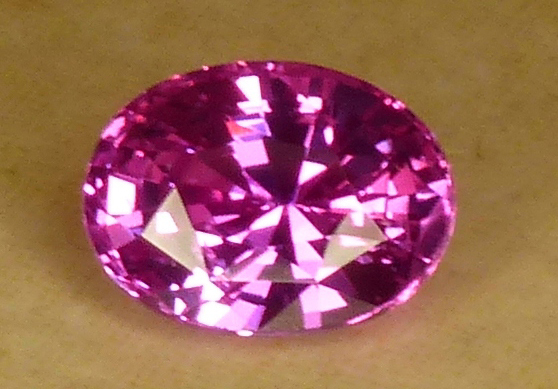 One of our associates feel in love with this gem and thought that everyone would love this piece. 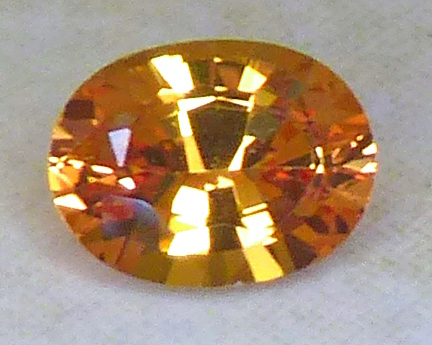 He described it as the color of autumn. 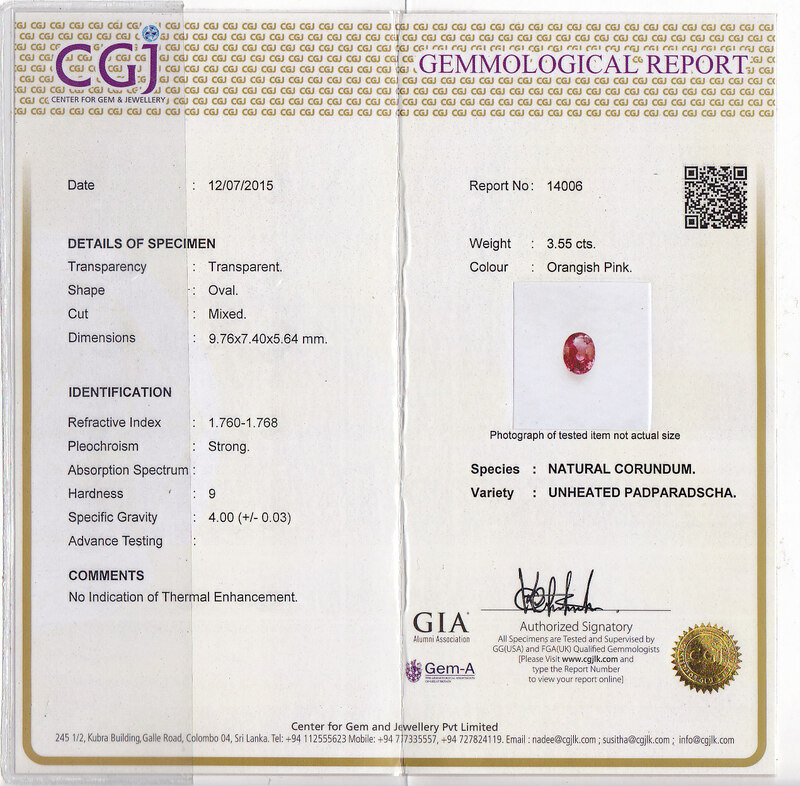 (egaj-15-85) SOLD! 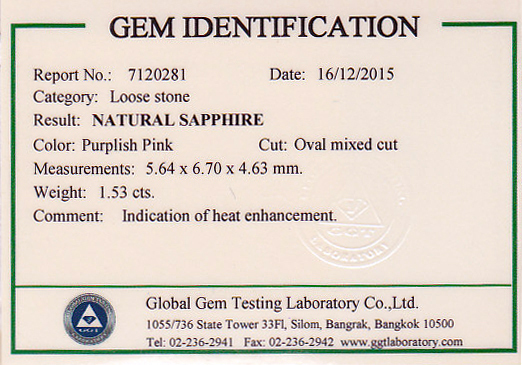 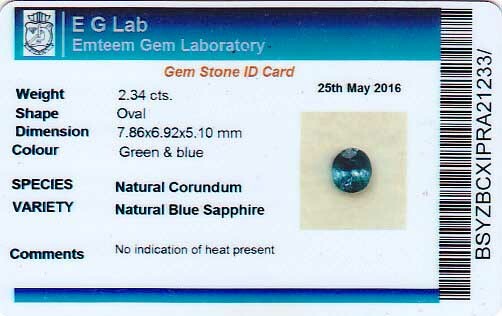 "...the fact remains that the gem has become my favorite as soon as I opened the box. 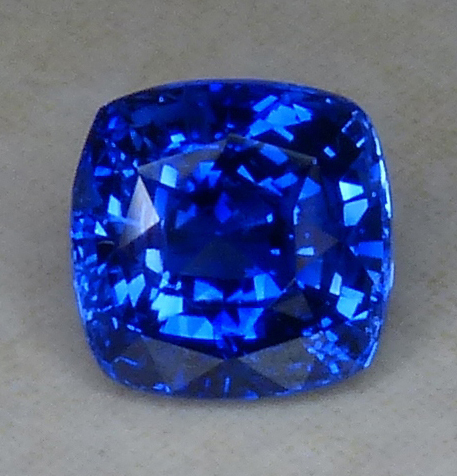 The appraiser gave the retail price around 15K which I am happy about; but for me, appraisal is only for insurance and the identificaion purposes..."
"Just wanted to drop a line to tell you I am so very pleased with the Sapphire Pair -- gorgeous medium-blue and so sparkly -- and they have quite a lot of presence for the carat weight/mm size. 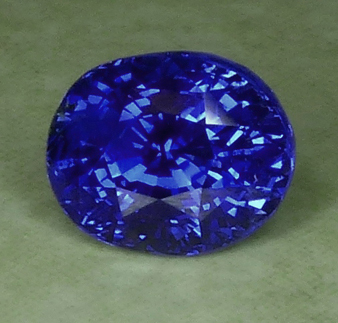 They exhibit in fact the blue color and sapphire performance I prefer in my blue sapphires, which is not easy find at all, so I treasure this pair all the more." 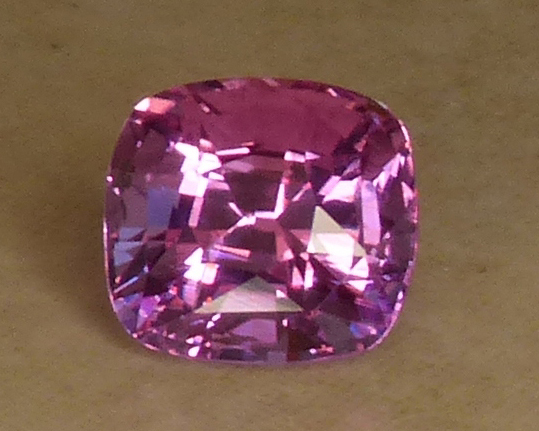 "Thank you so much all is well, we got the stone last night and its amazing! 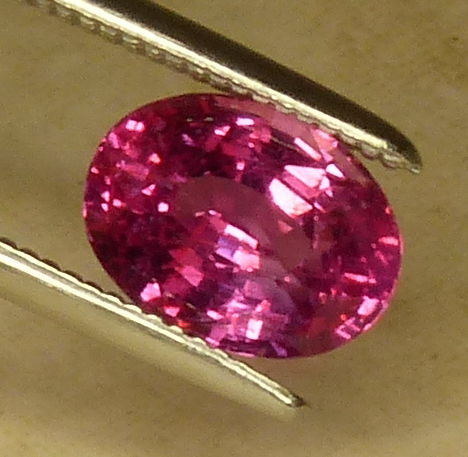 Can't wait to take it to a jeweller in the next few days :)"